With the SEALPAC A8 performance and quality go hand in hand. The performance class guarantees optimal production standards without quality fluctuations and easy adaptation to high production requirements. All this comes with trouble-free integration in existing production lines. Fresh food requires fast and reliable processing performance. The SEALPAC A8 processes all sealable materials and is especially suitable high-performance for applications like fresh meat and poultry, cheeses, cold meats, salami and convenience foods. 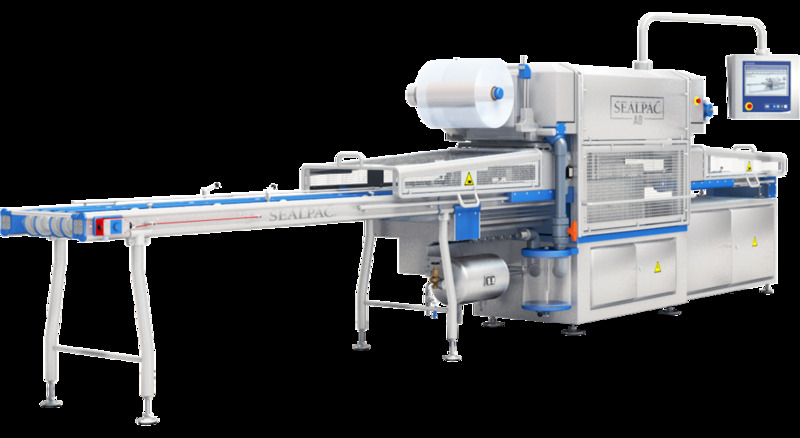 Owing to fully servo controlled technology and program support the SEALPAC A8 can handle about 140 packages per minute with MAP (Modified Atmosphere Packaging), depending on tray material, size and machine model.